A couple of weekends ago we went to a book charity sale in the Scottish Borders and inevitably I came back with quite a few more books for my ever groaning bookcases, in fact within the last three weeks I’ve managed to squeeze four more into the house! I have to say that there were loads of modern paperbacks for sale but the books that came home with me were the type that most people would dodge. They’re all fairly old and this time they’re mainly for children. 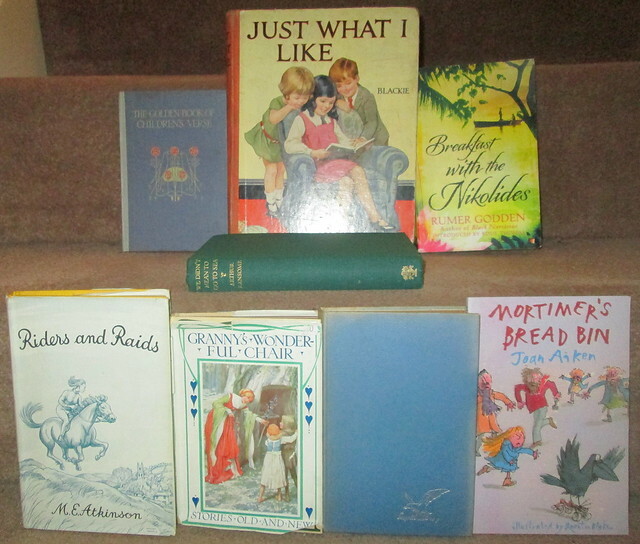 In truth a few of them I bought just for the book cover or illustrations – as good a reason as any I think you’ll agree. We Didn’t Mean to go to Sea by Arthur Ransome. 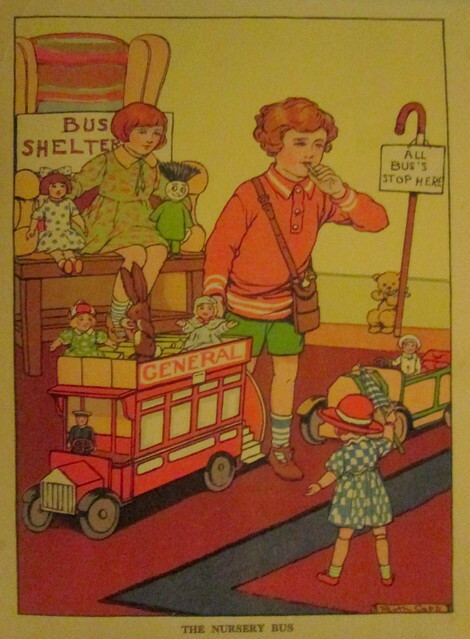 The Golden Book of Children’s Verse – this book was published by Blackie and Son, the Glasgow based publisher who was a client of Charles Rennie Mackintosh who designed Blackie’s family home Hill House in Helensburgh, but also designed a lot of the Blackie book covers, including this one. Granny’s Wonderful Chair by Frances Browne – it’s another Blackie book. Two Joans at the Abbey by Elsie J. Oxenham. This seems to be an adventure tale which was first published in 1945. Chosen because of the title – well why not! Breakfast with the Nikolides by Rumer Godden. I’ve been buying her books when I see them over the years. This is one of her Indian ones. Mortimer’s Bread Bin by Joan Aiken, illustrated by Quentin Blake. 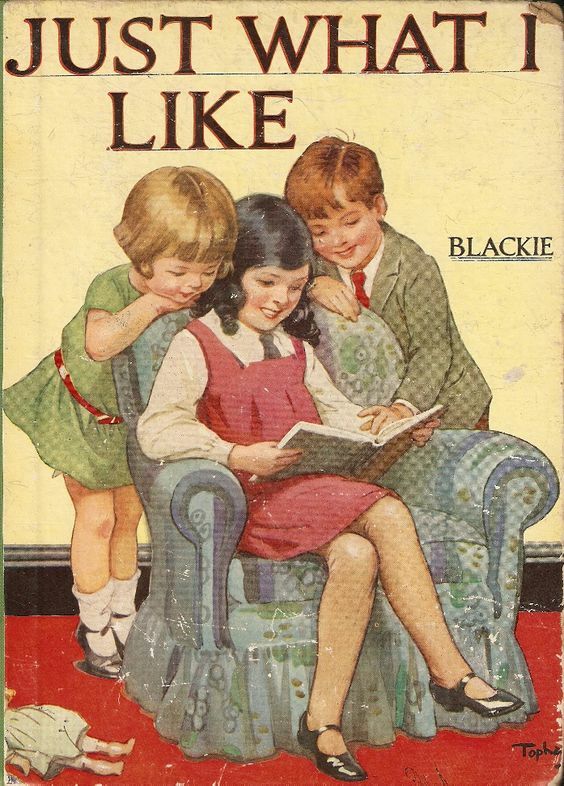 Just What I Like which is another Blackie publication. It’s an annual sized book and has an inscription dated 1932 and I think the illustrations are lovely – so of their time. I suspect I’m turning into a Blackie book collector. Inadvertently of course! I was really surprised to see the evidence in this 1932 book that apostrophes were also misused back then. Bus’s indeed!